A NatWest customer who found £1,245,000 in his bank account due to a mysterious error was told by the bank that it wouldn’t take it away. 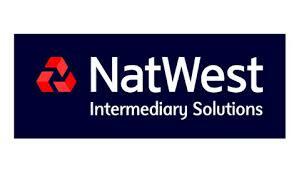 Kieran McKeefery, a 21-year-old web designer from Barnsley, Yorkshire, phoned NatWest after discovering the massive deposit in his account, but staff said it had been transferred by a large investment firm and it was their job to retrieve it. Mr McKeefery was then forced to spend ten days trying to decide if he should use the money or not before the company realised their error and reclaimed it. “It was very strange and quite scary when you are in that position, checking your bank and seeing £1.25 million is in there,” he said. “I thought ‘oh god, what has happened’ - I was a bit shocked more than anything else. “I was kind of tempted (to spend it) but I had read stories about people spending money mistakenly placed in their accounts and getting in trouble. “I was buying a new car the next day and I could have paid for it in cash - and bought quite a few more - with the money in my account. “I had all this money in my account and they said they had made the request (to the payee’s bank) and I just had to wait. Luckily the 21-year-old was left with £204 interest from the sum after it was removed from his account, and he hasn’t been asked to give it back.